By Road Mercury Bay is on Highway 25 and is easily accessed from Auckland, Hamilton and Tauranga and their surrounding areas. By Sea There is a ferry service which runs between Auckland and Coromandel Town – a fabulous 2 hour scenic trip down the Waitmata to a quick stop at Orapiu on Waiheke Island and then across the Firth of Thames to Hannaford’s wharf. www.360discovery.co.nz. This will get you to the western side of the Coromandel and you will need transport to meet you and get you to the eastern side and Mercury Bay via Whitianga. 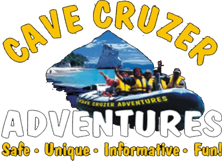 www.go-kiwi.co.nz for transport to Whitianga. By Air Fly from Auckland airport to Whitianga. There is a daily service so contact 0800 786247 or www.sunair.co.nz for details.